GROHE thermostatic shower valves complement our tap collections – so you can create a fully coordinated luxury bathroom. 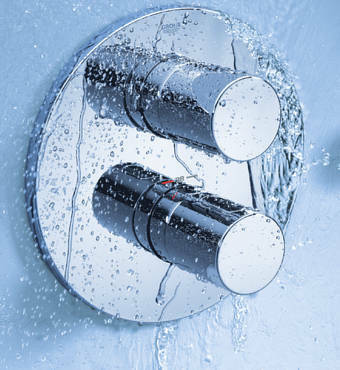 Our range includes concealed and exposed thermostatic valves. 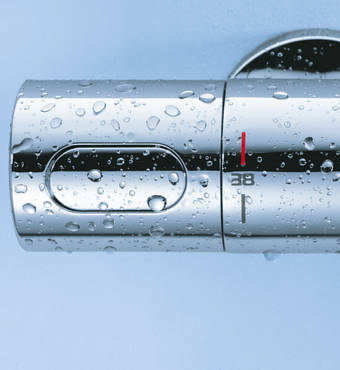 With an exposed thermostatic valve, the entire body is fixed to the wall and includes a water outlet to which you connect the hose of your hand held shower. Wall-mounted thermostatic bath/shower mixers also incorporate a bath spout. 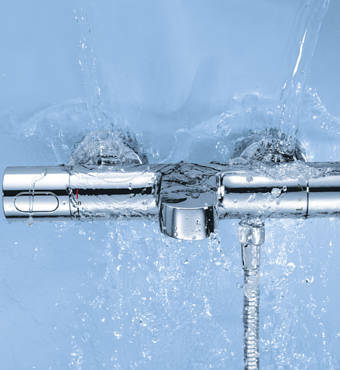 Concealed thermostatic shower mixers can be used with either a head shower or a hand-held shower head. If the design of your shower features more than one shower head, choose a thermostatic bath/shower mixer. Exposed thermostatic bath/shower mixers feature a bath spout and an outlet for the shower hose, which is then connected to your hand shower.